Welcome back to the 30 Days of Christmas! 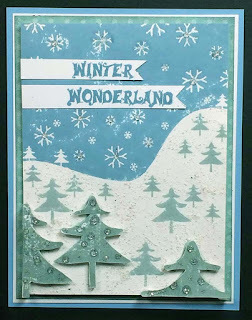 Today is Day 8 and I am pleased to use two of the new stamps from this year's Technique Junkies holiday release. 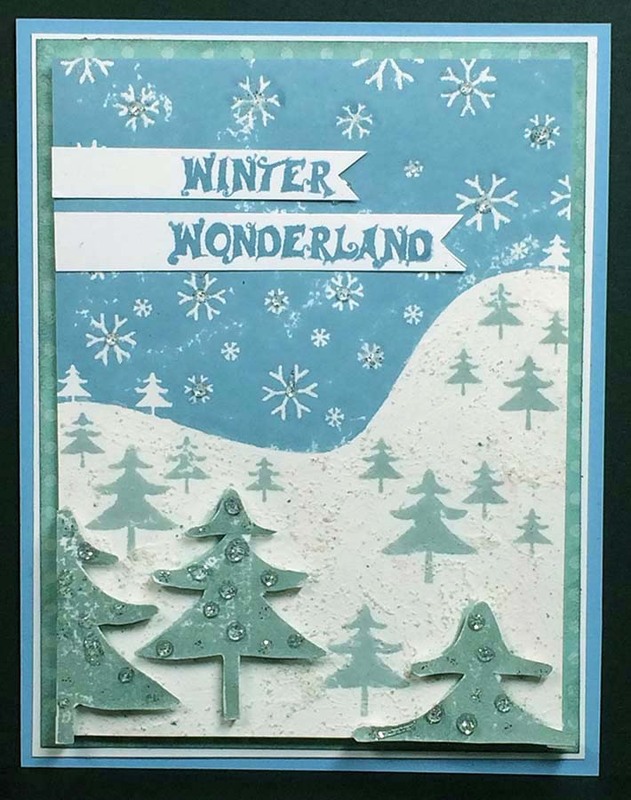 The base of this stamp is the Winter Wonderland Stamp. 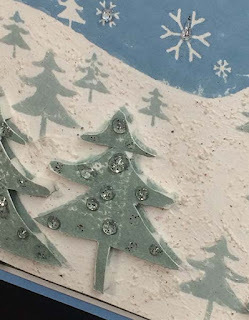 I colored the top of this stamp with Stormy Sky Distress Ink, and the bottom of the stamp with Iced Spruce Distress Ink using the Direct-to-Stamp method. For texture,there is a dot of Stickles on each of the top snowflakes, and painted Bone Stone Effects Dimensional Medium (Art Anthology) over the snowy areas. To finish the card, I used the Winter Wonderland Sayings (Set of 3) along the top, creating banners for each of the words. I love that I can make these non-denominational, like the card above, or straight-out Christmas Cards by using the Merry Christmas Greeting from the same set.